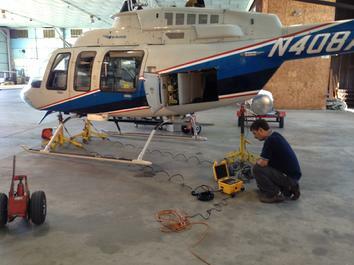 Airbus EC120 being weighed on our wireless system using our JAWS 100 software package. Full screen indication, full capability and programing possible, web server capable now you can use your wireless network to display your scale readings on your Ipad or Iphone, another computer, or even your Android devices! M2400-3-5CS or M2400-3-10CS for helicopters as well as fixed wing aircraft weighing needs. Airbus Helicopter weighing is an easy process! 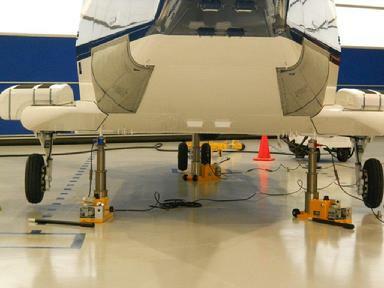 Shown to the left is an EC120 being weighed on our M2400 series wireless scale system. JAWS 100 software is included with the laptop computer making your system complete. Our new JAWS 1.2.2 software package is now available with the capability of wireless web server use. You can now see your scale right on your Iphone or Android device when connected to your wireless network! Photo credits to Allan Sutton, Blue Sun Air! Our HH2400 series indicator is here, uses 2.4 Ghz transmission, has excellent range and is so easy to use. Our new wireless software JAWS 1.2.2 is out and will run on any laptop, PC or a Win 8 tablet running a Win 32 bit program. Now with our web server capability, you can now connect to your wireless system in your building, transmitt your weighing operations to any Ipad, Iphone, Android device or any other computer connected to the same wireless network. Above is an actual screen shot of the scale as it is displayed on a standar screen. Easy to use, you can see the display in bright light and you can add modules to your three cell kit to make it a four cell kit if needed. Running a standard 15.6 inch laptop, our read out is right there on your computer. Our system has many features including advanced math functions, fully wireless and capable of up to 150ft or more in range. Our new wireless helicopter scale system runs on a standard laptop or net book computer running Windows 7 or 8. Wireless helicopter weighing kits are here and available it three and four cell kit configurations. No more wires, our units run wireless modules and are powered by standard AA batteries. No charging or issues shipping hazmat, limited quanity applies to this kit as it has standard battery packs. 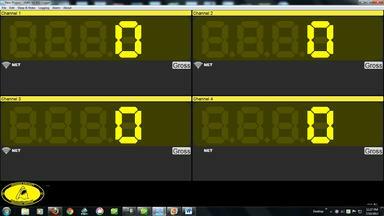 Our USB interface runs of of a standar laptop which is included with the kit. Your totally wireless as all power for the kit is on board, making the unit easy to use and battery changes a snap. Wireless helicopter weighing scales are here and come in three and four cell configurations. These systems run on a laptop computer and Windows 7 or 8 programs. 3 point system for light to medium, order our -10CS series in wired or wireless. Standard top of jack mounting on the one inch hole in the top of your jack ram. If you do not have a hole, you can order our jack adapters to fit your jack top. 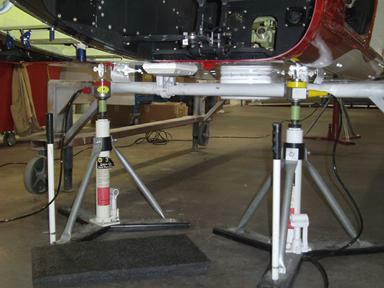 Helicopterscales.com sells and services helicopter scales, specialty scales for aviation, aircraft scales, top of jack scales, and wheel platform scales for all of your aviation needs. We also carry passenger and baggage scales for your FBO terminal and loading needs. Give us a call today 561-281-6179 ask for Larry Jackson or e-mail us at larryjackson@jawsscales.com Helicopterscales.com is a division of Jackson Aircraft Weighing Systems (J.A.W.S) and features scales with N.I.S.T. 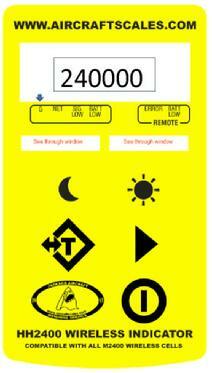 traceable calibrations for aviation use. We are a direct OEM supplier to HSI/Sikorsky for our H60 line of scales. You can order through HSI or deal factory direct with us, we are the manufacture! 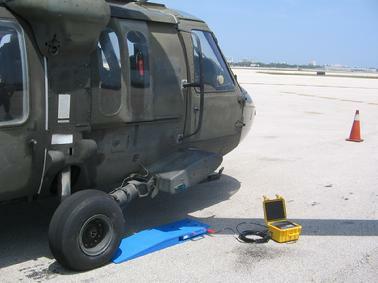 H60 helicopter application, see our additional pictures, our unit will clear your wire strike gear and handle large tires. 30 inch ramps for easy roll up and only 3.5 inches high. Click the icon to download a short movie of JAWS weighing a Sikorsky S61N. 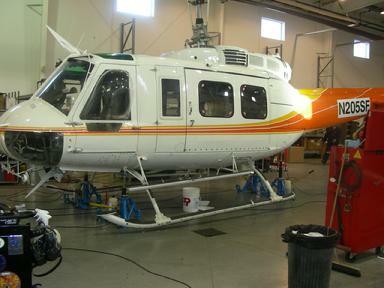 Yes our 10K platforms can handle small and large helicopters as well as fixed wing aircraft. Place your system on order today! 561-281-6179 and ask for Larry!